Do Debt Relief Agencies Really Work? Debt relief agencies can be a way for you to negotiate payments with creditors and help you get out of debt. These agencies can either negotiate a monthly payment with your creditors or they may offer a settlement amount, which means you pay a portion of the total amount due and the creditor forgives the rest. In some cases debt relief services can help, but it comes in many different forms. With options such as credit counseling, debt settlement and management services, it all boils down to the service and company you choose. Credit counselors won’t negotiate with your creditors. Instead they give you advice on how to manage your debts, create a repayment structure and even draft a budget. In most cases credit counseling services are nonprofits. According to the Federal Trade Commission, a nonprofit doesn’t mean free or even legitimate. Therefore, the FTC recommends looking for credit counseling services that offer in-person services from outlets such as your financial institution, a housing authority or even on a military base. With a good repayment plan and budget in place, you could potentially work your way out of debt, but you may still have to deal with creditors demanding payments until everything is paid; your credit report also will still reflect the negative account history – even after everything is paid in full – for at least seven years. Debt settlement is the process where you pay a percentage or flat-fee of your total amount due and the creditor forgives the remaining balance. 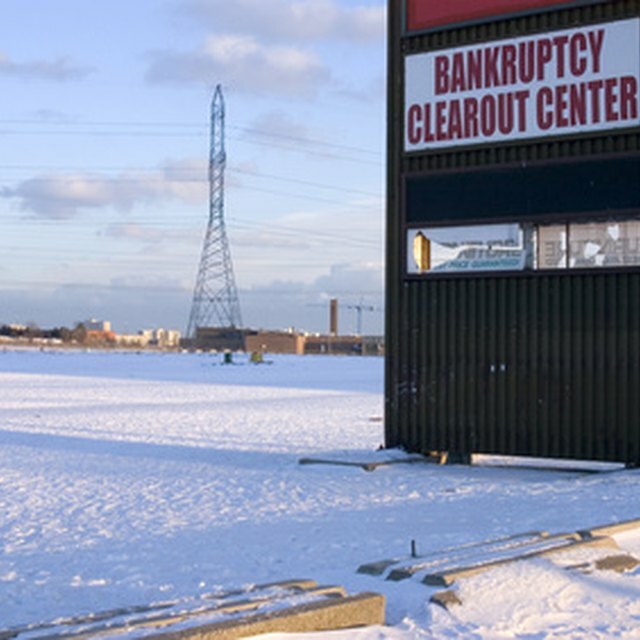 For some this is a method for avoiding bankruptcy, but there could be risks involved, according to the FTC. With a debt-settlement program, the agency could offer you a settlement amount, but that doesn’t necessarily mean your creditor will agree to it. Therefore, you should verify that the settlement agreement is accepted by the creditor and get that acceptance in writing before you start sending payments. Although settling a debt will get creditors off your back, it doesn’t erase it from your credit report. The account’s history will remain on your credit report for seven years, but will be shown as "settled" until the debt expires. Debt management is typically offered through credit counseling agencies. This program is customized to your financial situation and your credit counselor will negotiate with creditors on your behalf to devise a plan that allows you to pay down your debts. Once it is agreed upon you will pay a monthly, set fee to the credit counseling agency. They will then take that deposit and spread it out to your creditors. In some cases your credit counselor may be able to negotiate lower interest rates and stop all fees on your accounts to help you pay down the debts. According to the FTC these plans work, but they can take up to four or more years to finish. Your credit report, however, will still reflect any negative account history for up to seven years. Only in this case you will be paying your debt, which means you won't have "settled" or a "charge-off" status listed on your report – which may help your score. Does Using a Debt Consolidation Service Negatively Affect Your Credit Score? Does Debt Relief Hurt Your Credit? There are alternatives to using a debt relief agency. Debt consolidation – the process in which you combine all debts into one through a single loan – can help reduce interest and make paying off your debts more convenient. You may be able to obtain a debt consolidation loan through your bank or by taking out a second mortgage or home equity line of credit. If you haven't spoken to your creditors, consider giving them a call to work out a payment plan. Some creditors may temporarily reduce interest rates or allow you to get on a repayment program that catches you up on your debts without the need for a debt relief agency. Bankrate.com: How is Debt Settlement Reported?